So I decided that for NOW I will stop going to thrift stores because of lack of funds and trying to save up for another Disney trip come November... But I will share with you what I have recently found at the thrift stores. 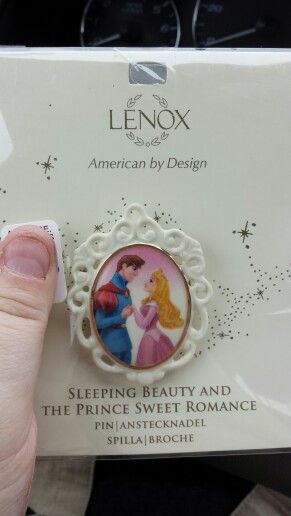 Normally I don't look at Jewelry at one of the thrift stores I go to because they want ridiculous prices for some costume jewelry but I went and found this Sleeping Beauty Leno Pin, just in time for Maleficent premiere. lol. Not that I wore it. 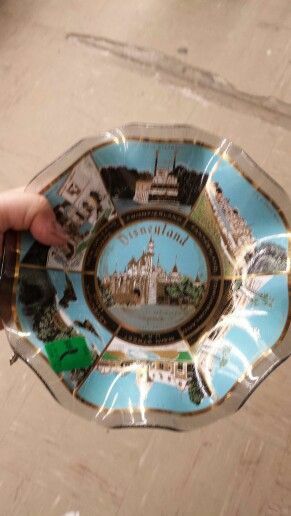 That day I also found this Disneyland bowl. I have 2 of them but they are from Disney World and recently I found a 3rd Disney World Bowl at a Good Will but decided to skip it because I already have two. lol. So now I have a bowl from each park...now I just got to visit Disneyland. Some day... Some day. 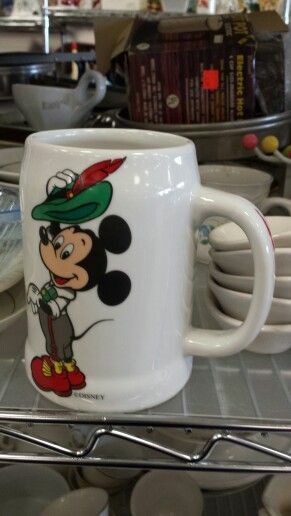 This is a really cool mug featuring Mickey Mouse in German themed clothes. This mug was made in West Germany, and something I have never seen before. Awesome find. 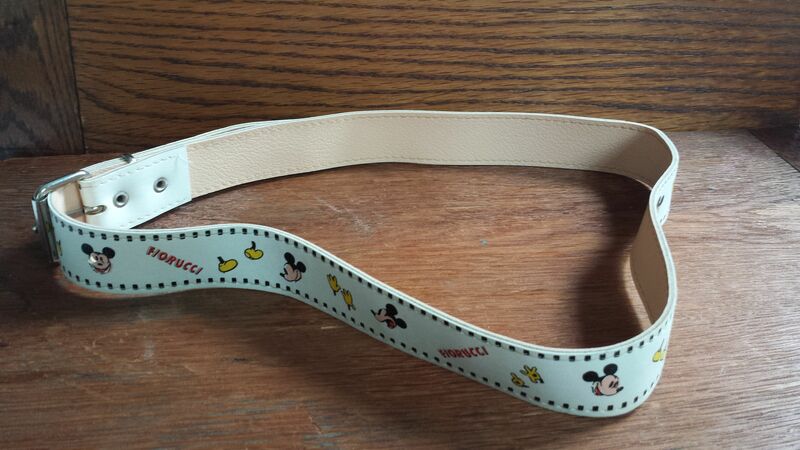 My last find of the thrift stores was this Mickey Mouse Fiorucci Belt. I don't know too much about it because there's none on any website but I know Disney partnered with Fiorucci back in the 80's....another cool find. Anyway... As I said for now I am not going to thrift stores unless I break down my strong walls and go just for the fun. lol. I guess I go Window Shop but don't buy. lol. But I don't think that is possible. But that doesn't mean I"m closing my blog down. Nope nope nope. I might post a few times a month about my opinions on changes at Disney World and movie reviews. I might even post more thrift store findings but I don't think that will be any time soon.